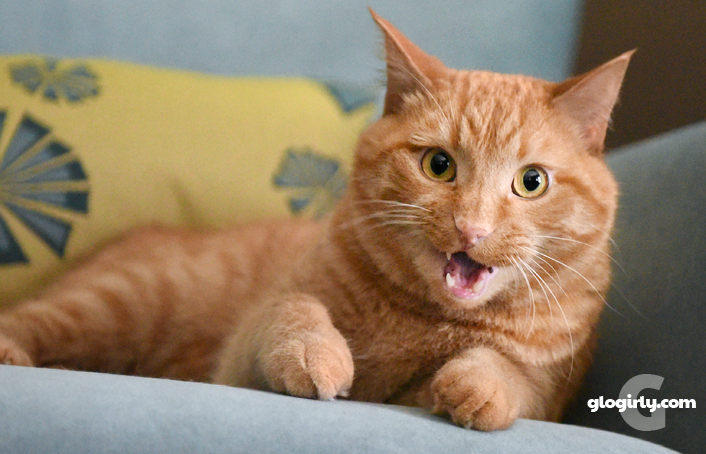 WAFFLES: Did you know that flossing is very important? WAFFLES: I floss every day with my wand toy. 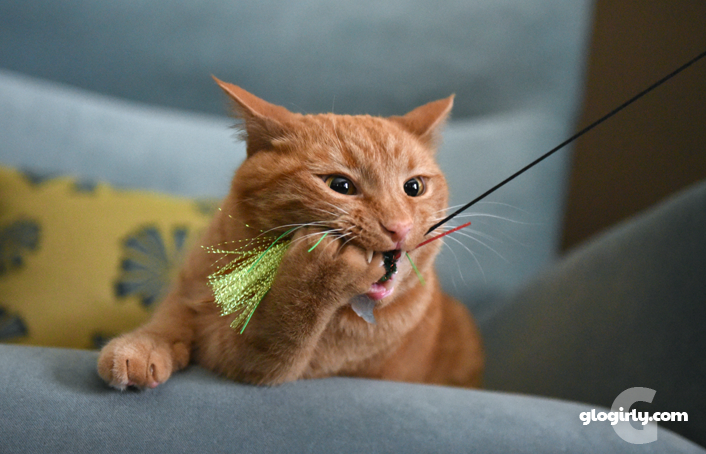 WAFFLES: Daily flossing and stuff keeps my wand toy healthy and happy. WAFFLES: That is until someone loses a tail feather. Waffles has been loving his Neko Birbug for a LONG time. Before Glogirly even launched it into the air, Waffles knew it was something special. He was chattering away, trying to help put it together. Ever since that first flight, the Birbug has been his wand toy of choice. He knows where it's kept when not in play. And he knows how to get everyone's attention when it's time to play. The only thing he doesn't know is when to stop. As wand toys go, it's a little pricey. But for us it's been well worth it. It's outlasted nearly all our other toys and it's the one that Waffles just never falls out of love with. The cork handle is soft and comfortable to grip. Admittedly, we did have to replace the bug once. RIP Bug #1. But considering how intense our play sessions are, we're just super impressed with how well it's made. This isn't an official product review. But when something like this shows up in so many of our photos, we can't help but take notice at what an important part of our life it is. Cat-Tested and Waffles-Approved. This post contains Amazon Associate Links which means we receive a small commission if you click from our site and make a purchase. Gotta pay for Waffles' wand toy habit! I still have my first Birbug... but it is about to go kaput too. I killed the tailfeather already. Dat eggsplains why ya got such gorgeous toofers! Unsolicited praise is praise indeed - this looks one heck of a toy!!! 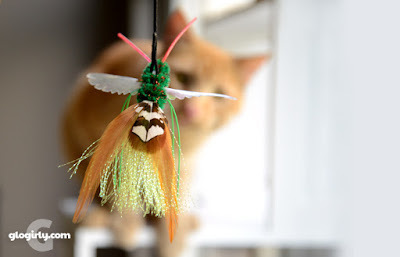 We have a Neko fly...but we need a birbug! The Birbug is a favorite at our house, too - and these photos are stunning! 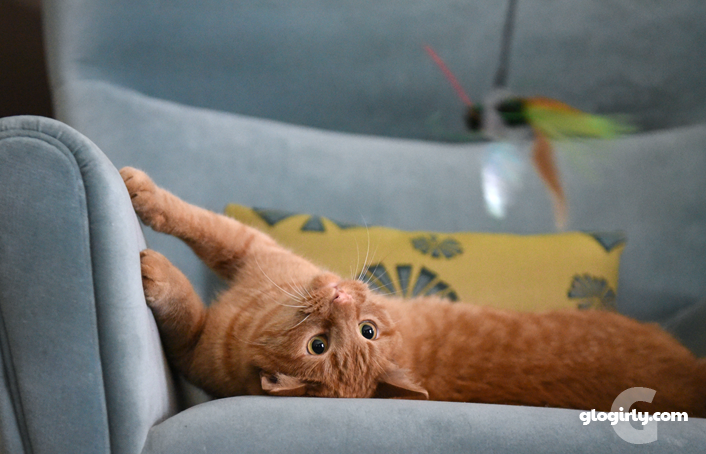 The neko Fly is my favorite toy. Too. In fact it is about the only thing I will play with. Good choice waffles. We have one that looks like a worm and my cats love it. I have to hide it when not in play too. Yes Waffles, it is important to floss. It will keep your breath nice and fresh for the ladies. I am going to have to have a talk with Meowm about getting us one of these. You look purrty ferocious in that first picture Waffles..my crew has a few wand toys but not this one...maybe that would be a good one for Santa to bring this Christmas..hohoho..lol..
We need to demand our neko fly more often. For hygiene purposes. We agree the Neko is a great toy! ANd well made too. 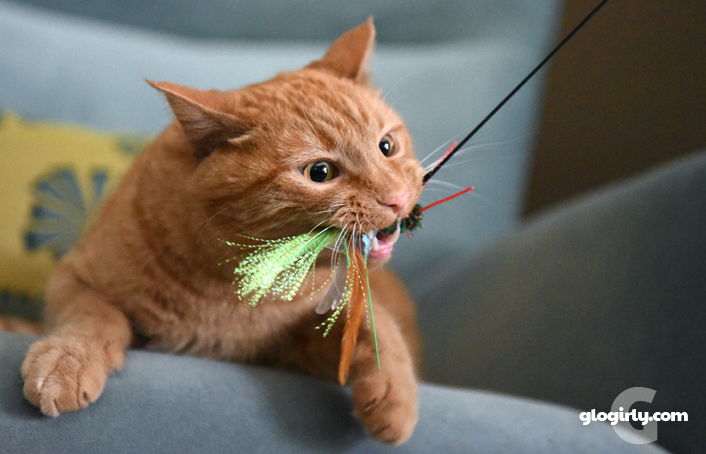 A toy the cats never fall out of love with is worth the price. Fierce!Waffles is a stunning beast. We added one of the Neko toys to our Amazon wish list. Ringo LOVES Da Bird and we're sure he'd love a Neko too. Waffles, the determined, focused, single-minded purpose in your eyes is all that BirBug needs to know to know that it is doomed - and that your tooths are clean! Me likes to floss wiff meez necko too. Sissy dusn't have teefies fur flossin' anymore tho'. MOL Have a gweat day. That looks like a cool toy. Maybe mum will get me one for Christmouse. Yeppers. I love to floss with wand toys or ribbon.